Giveaway! 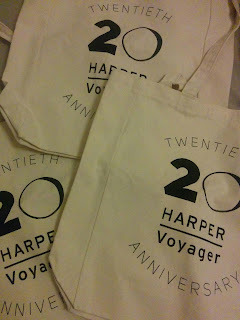 Harper Voyager Tote Bags! 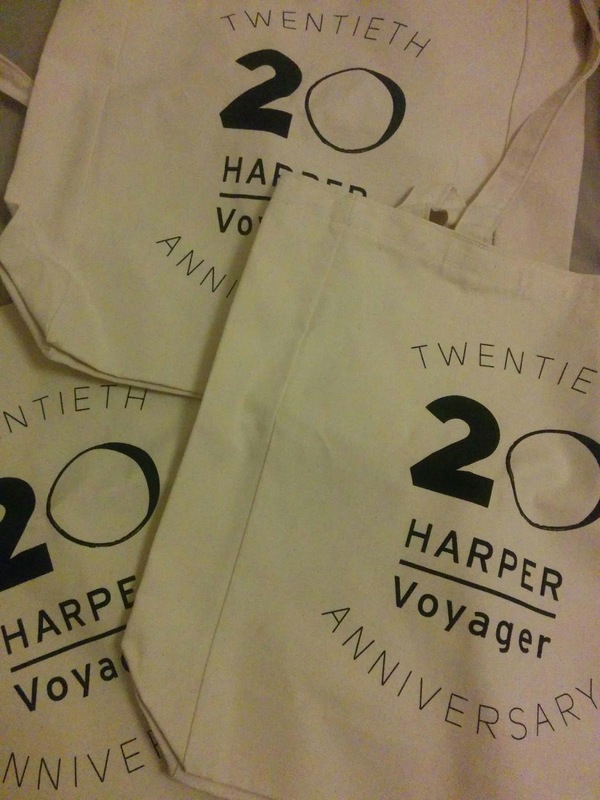 To help celebrate Harper Voyager's 20th Anniversary, thebestkidsbooks.com have 3 exclusive tote bags to giveaway to Australian or New Zealand residents! To enter, simply comment on this post, comment on facebook, or retweet on twitter! Entries close Wednesday 11.59pm 19th August (NZDT). A super cute book with delightful pictures. Daddy cuddle is about a little bunny rabbit who tries to get dad out of bed in the morning. The little bunny starts off just getting dad to wake up, but soon enough (because dad isn't getting up), he tries many different ways of getting dad up or asking dad to do all sorts of stuff. 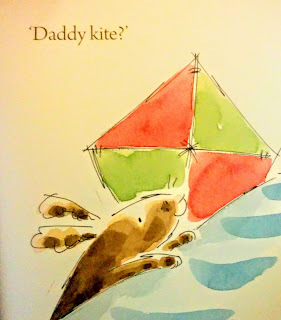 Not long, dad's bed is full of kites, bikes, cellphones and even squeezed out toothpaste! I read this to a bunch of 5/6 year olds and 8/9 year olds at the same time. The little ones loved it and cracked up laughing at every instance, while the older ones probably thought it was a bit babyish. I think the little ones could really relate to it, and at the end when bunny hops into bed and cuddles with dad, they probably did that exact thing on the weekend. Take a look and maybe you and your kid(s) can come up with sentences that you guys might do together! 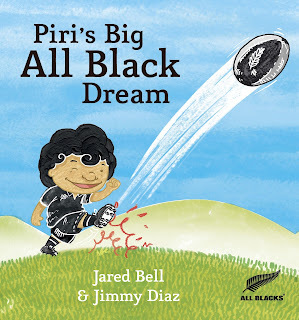 Piri's Big All Black Dream is written about Piri Weepu's dream of one day playing for the All Blacks and winning the World Cup, this book should get lots of kiwi kids interested in this book. The message the book promotes is working hard and striving to achieve big goals, a great value to impart and there will be many who will latch onto this. I really enjoyed the pictures. I could relate to those cheeky and funny pictures to the personality of Piri (at least what I see on TV). The koru design embedded in the capital letters is a nice touch and I wished there were more bits like this throughout the book. I think that this book with all its great things has missed a bit of a trick here. It has taken a long time since that World Cup win and the book is written like it is for younger audiences who probably don't have any idea who he is. It either should have come out early or the way it was written should be more for the older kids. However, just being about an All Black is probably enough to get many kids enjoying this book.